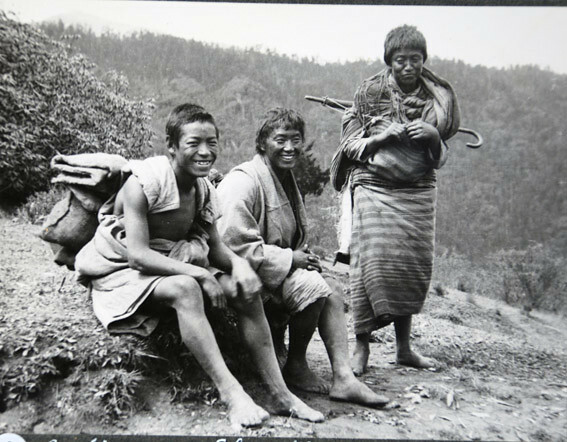 The Museum of Archaeology and Anthropology at the University of Cambridge has shared a collection of historical photos from Bhutan over on their Flickr page. 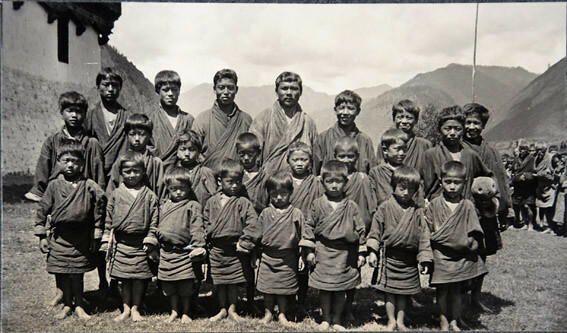 "Frederick Williamson became Political Officer in Sikkim on January 4th, 1933. 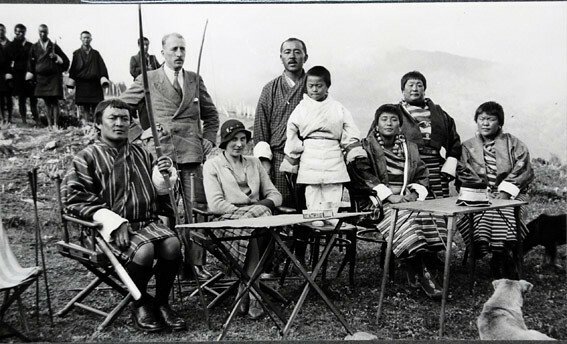 In June and July of that year, he and his wife, Margaret, made an official visit to Bhutan. 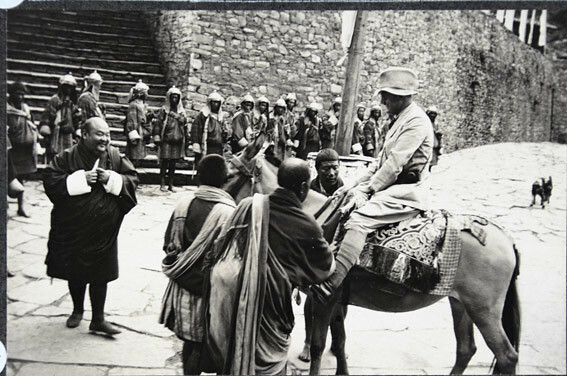 Williamson was stationed in Sikkim, Bhutan and Tibet between 1930 and 1935 during which time he created a unique collection of photos and cine-films which offer insight into the lives of British envoys in the last decades of the British Raj." The small number of page views for these photos suggests that this collection hasn't been shared around too widely so I'm sharing them here along with the original photo captions. 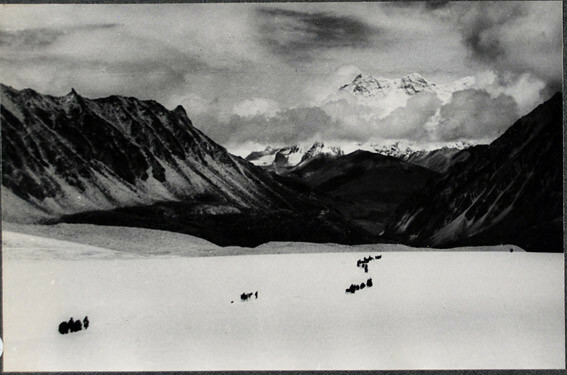 Please enjoy these images of Druk Yul from exactly 80 years ago this month. 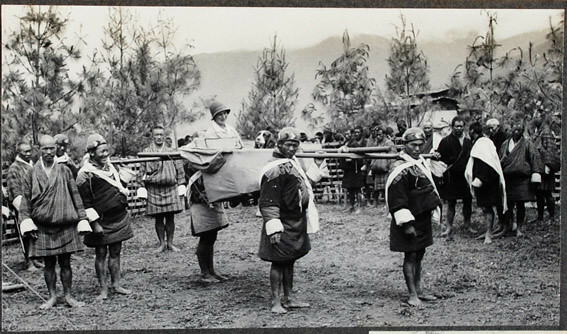 Notice Williamson’s umbrella tucked into the woman’s kabney (traditional Bhutanese scarf). Archery is a male dominated game and women are not allowed to play the game. The man in the centre of the picture is trying to aim. While the others watch him. 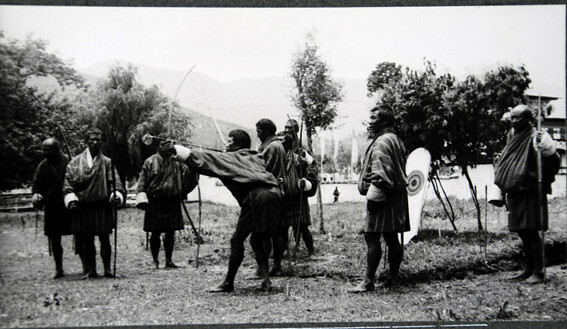 The archery players are all using the traditional bow and arrow made from Bamboo. This is a special dance which is normally performed during a ceremonial welcome for the guest of honor. 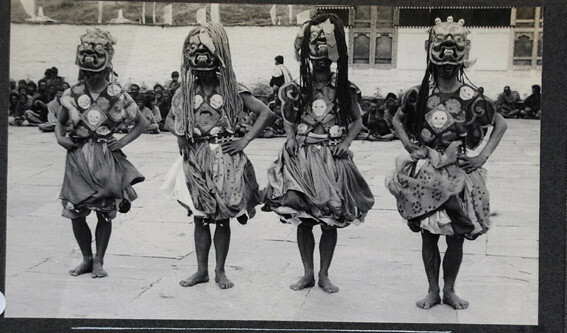 The dancers were beautiful silk crowns and silk gho. 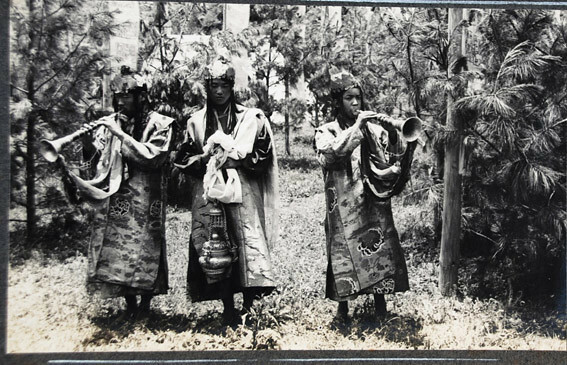 In their hand they have small drums. They also have a long sword tired down their waist. 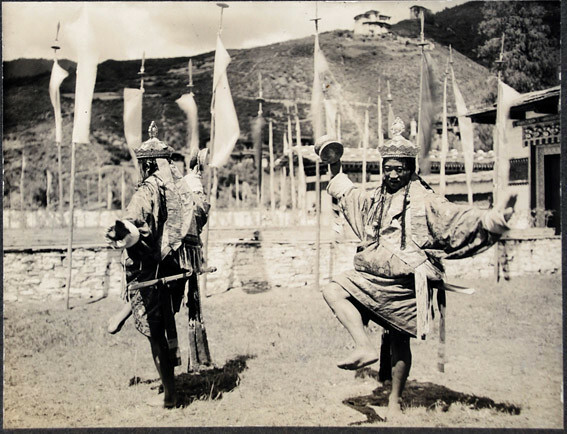 There is a popular belief that this men who dance in the ceremonial procession dance gracefully in front of the guest and they move around because their role is like that of a spy. While dancing gracefully they also try to see if there are any ambush or danger ahead for the guest. The castle in the picture on the hill is know as Paro Ta Dzong (meaning ‘watch tower’). 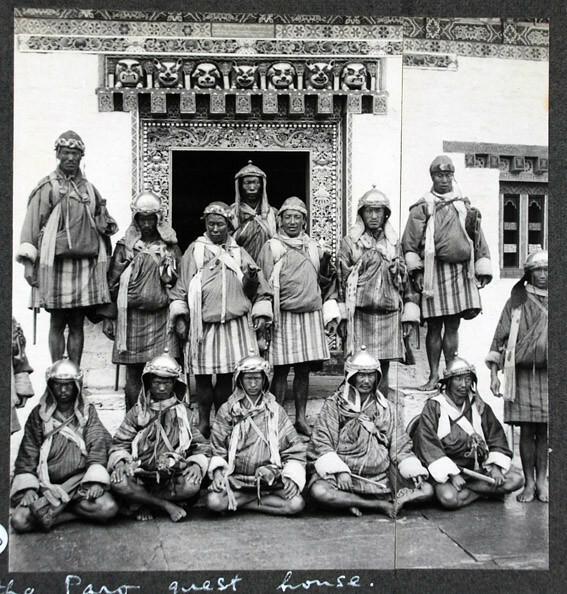 This has been converted to the national museum of Bhutan. We can also see lots of white prayer flags, which is very much a part of Bhutanese culture. “... the Maharaja kindly sent a dandy (carrying chair) ahead for me, a splendid vehicle with brocade upholstery, and eight equally splendidly attired dandywallas to carry it”. 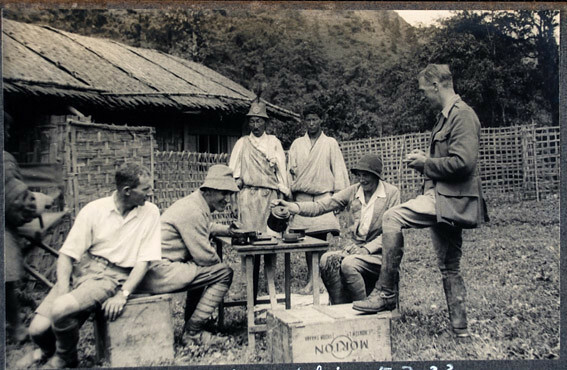 You can read a little more about the Williamson party expedition to Bhutan here. 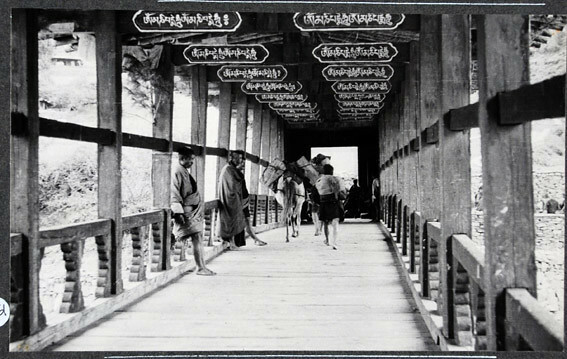 All photos here are copyright of The Museum of Archaeology and Anthropology at the University of Cambridge and are linked from the Flickr collection here.